To continue to enrich the imaginations of our avid readers at the Nursery, we have invested in a brand new treasure trove of exciting books. 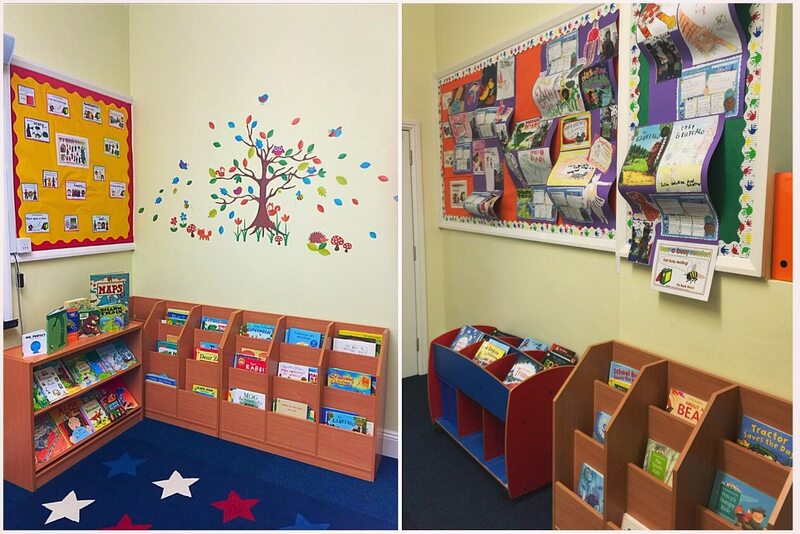 We have transformed our library into a beautiful new learning environment, which reflects our children’s love of reading and will ensure we continue to foster creative minds. “Overall standards of reading and literacy are well above the national average” (School Inspection Services, 2016). As such, we wanted to involve the children themselves in the development of the new library, and have invested a lot of money in ordering books they personally selected. Day by day, more and more of their orders are arriving and a wide variety of lovely, engaging books are filling the shelves. There is something for everyone, should our pupils choose to visit the past or foresee the future. From lessons in history where heroes live and dinosaurs roam, to ‘adventures in wonderland’, ‘where the wild things are’ and ‘giant peaches’ grow, children can merrily carousel between fact and fiction. A whole new borrowing system will soon also be established, so that children can enjoy the rich texts at home with their parents as well as in school.